Home 2017 December 1 What Does It Mean to Be American? The generation of the baby boomers have had more time to build wealth, invest in their home, and develop a family. Many millennials are still struggling to get up on their feet without help, even then they can not figure things out. People ask themselves, what does it really mean to be an American? If you are not from America originally you still have a purpose. We are here for a reason because our ancestors wanted a new opportunity and a better life. That is what America is for, to live the “American Dream.” Everyone has a different version of the American Dream whether that is having a big house or a family. Older generations say the key to living the American Dream is owning the home of your dreams. The American Dream is what you make it. America is full of different races, ethnicities, and religions. Everyone came here for a purpose to have a fresh start. 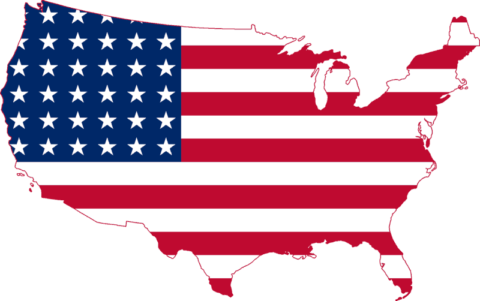 Our country has never been united even though we are the United States of America. We are fighting each other inside our country. We are self destructing because people are so worried about other people and what they are doing with their lives. Some people say, “The immigrants need to leave.” America is no one’s country. Our ancestors did not live here they moved here to start a better life just like all the immigrants today. The people who claim they are Americans need to respect that not everyone was born in a “free” country and encourage them to do their best instead of telling them to leave. Most people start with nothing and turn it into something big. In America we are not free we have rights to protect the people from the government. Older generations and some millennials believe homeownership is the most important element to the American Dream. Others also believe having a healthy and loving family is a big part of the American dream. A lot of the times you can have a lot of money with no house or family and live in an apartment and still be happy. Money is a big part of the American Dream to most people. Many immigrants and people who have lived in America their whole life believe we are free and America is full of unlimited opportunity. In the book Tribe by Sebastian Junger, Junger says, “The earliest and most basic definition of community—of tribe—would be the group of people that you would both help feed and help defend.” Most people in the United States believe having a family is a big part of the American Dream. A lot of people do not have families so they feel as if they can never accomplish the American Dream. Others believe that is not the only key to the American Dream. Others feel welcome without a family even close communities or neighborhoods so therefore those people don’t agree with having a family equals the American Dream. In an article in the New York Times, written by Anna North, she asked teens about what does it mean to be American they responded, “We are not the country we were before. America faded away from the heritage we were built on. America was built on Christianity and every year the percentage of Christians goes down.” The people who claim they are American should look back at what it really was before social media. They should look at themselves before judging other people. Everyone is here for a purpose. Everyone wants to live their own version of the American Dream. What Does It Mean to Be American? by Camryn is licensed under a Creative Commons Attribution-ShareAlike 4.0 International License. I am interested by your letter, “What does it mean to be an American,” because it gives me an idea about how to be and feel apart of America. It also tells me how I should follow my dreams, and although everyone else’s dreams aren’t similar, I shouldn’t give up on mine. One sentence that stood out to me is, “People ask themselves, what does it really mean to be an American? If you are not from America originally you still have a purpose. We are here for a reason because our ancestors wanted you a new opportunity and a better life. That is what America is for, to live the “American Dream.” Everyone has a different version of the American Dream whether that is having a big house or a family. Older generations sat the key to living the American Dream is owning the home of your dreams.” I think this is intriguing because you talk about the true meaning of being American. Not everyone has the same view on the American Dream, or has to be born in America. But people moving to America wants to start over, have a better life, or for better jobs. People should follow their dreams and live up to them. Another sentence that I observed was “Older generations and some millennials believe homeownership is the most important element to the American Dream. Others also believe having a healthy and loving family is a big part of the American Dream. A lot of the times you can have a lot of money with no house or family and live in an apartment and still be happy. Money is a big part of the American Dream to most people.” I think this is touching because it gives different ideas of the American Dream. It could be a home, it could be about family, it could even be about money, who knows. Money is a big problem in the world today, but people see it as the best cause it gets you far in the economy. But aside from that, the American Dream can be whatever you make it. I do agree with you that the American Dream has a lot to do with being American. One reason I say this is because it can strongly affect the way people think and make them follow their dreams. Another reason I agree with you is because people should feel like they belong, no matter if they are different from everybody else or not. Thanks for your writing. I look forward to seeing what you write next, because I am interested in learning more about what it’s like to follow the American Dream. I want to see more of what you have to offer about why everyone has a purpose and what’s that purpose. I believe that if this happens, then we will have a better society. I agree with what you wrote in your poem ¨What It Means To Be American¨ because you made good arguments about how everyone interprets the ¨american dream¨. The american dream has many versions but what counts is how you try and achieve this dream and you showed how people should be encouraging each other. One sentence you wrote that stands out for me is ¨The people who claim they are Americans need to respect that not everyone was born in a “free” country and encourage them to do their best instead of telling them to leave¨. I think this is interesting because many people are racist towards people who weren’t born here. Im able to relate to this because, being mexican, I have experienced racism first hand. I have been told to stop speaking spanish and speak english because we´re in america or I have been given dirty looks. Instead, we should look past these differences and help each other. Another sentence that I liked was ¨The American Dream is what you make it¨. This stood out to me because I think that it’s true. There’s not only one version of the american dream. We all have different interpretations of it and that’s okay. I agree with you when you said that our ancestors moved here to get a better life. One reason i say this is because my parents moved here to try and earn money that they werent able to make back home. Another reason I agree with you is because if it werent for them, then we wouldnt be here in the first place. Thanks for your writing. I look forward to seeing what you write next, because I really liked your writing. I found your definitions of the “American Dream” interesting because you said “The American Dream is what you make it. This is interesting to me because I never thought of the American dream that way. I always thought of it as wanting to be rich and live a rich life but in reality it is whatever you want to make out of your life while living in America. One quote that stood out to me is when you said, “America is full of different races, ethnicities, and religions. Everyone came here for a purpose to have a fresh start.” This stood out to me because there are people that came here from all over the world to have a fresh start and live their version of the American dream. Some of these people came here to get rich, and some came to take advantage of all the new opportunities they will have while living in America. Another quote that caught my interest was, “A lot of the times you can have a lot of money with no house or family and live in an apartment and still be happy.” It stood out to me because it just shows that people find happiness in many different things. People can have the most money in the world and be happy, but another person can have no money at all and just be happy with their families. Thank you for writing this and allowing me to read your interesting thoughts on the American Dream. I am pleased with your post, “What Does It Mean to Be American? ” because it defines what most people think is the American dream. One sentence you wrote that stands out for me is: “We are here for a reason because our ancestors wanted a new opportunity and a better life. ” I think this is not true for everybody´s ancestors. A lot of people´s ancestors were brought here against their will as slaves and indentured servants. Another sentence that I noticed was: “ Many immigrants and people who have lived in America their whole life believe we are free and America is full of unlimited opportunity.” This stood out for me because it raised a lot of good points. However I don’t agree with you that. I don’t believe this is completely true because not all Americans have equal opportunities. People are treated differently based on their background, name, ethnicity, looks, etc and this affects their entire life here. Thanks for your writing. I look forward to seeing what you write next, because for the most part I agreed with you but only when you were referring to immigrants instead of people in general. I am intrigued by your post “What does it mean to be an American” because i think it gives insight on some major topics.This post also explains the point of view from teenagers and how they feel. This also says something about the “American Dream” which plays an important role in some american’s life. One sentence you wrote that stands out for me is: “The American Dream is what you make it. America is full of different races, ethnicities, and religions.” I think this is interesting because this shows that america is not only cultural but also diverse. Another sentence that I mesmerized by was: “A lot of the times you can have a lot of money with no house or family and live in an apartment and still be happy.” This stood out for me because many people who have money with no family or no significant other are genuinely happy with themselves and not smothered with money. Thanks for your writing. I look forward to seeing what you write next, because you seem to give a more detailed point on this.You ask questions and give answers that hit the question dead on. I am very indecisive about your post “ What Does It mean to Be American” because I agree with fact stated on how “ The American Dream is what you make it.” America is full of different ethnicities, races, and religions. Everyone care here in order to have a fresh start. One sentence that stood out to me was “ Our country has never been united even though we are the United States of America.” I think this is a powerful statement because “us” as the United States should be united even though there are different races,ethnicities, and religions in it. Another sentence I enjoyed and agreed on was “ Americans need to respect that not everyone was born in a free country and encourage them to do their best instead of telling them to leave.” This stood out to me because just because someone is not an American does not mean they are not capable of doing what an American can do. I don’t fully agree with you that “ Many believe that the American dream is to have a big home.” One reason I don’t fully agree on it is because some people have different goals and achievements towards the American dream. Another reason I don’t fully agree is because some people just want to be happy and not look into big houses or luxury cars. Thanks for your writing. I look forward to see what you are writing next because I really enjoyed your perspective on “ What does it mean to be an American.” I liked all of your arguments and statements. I do strongly disagree with you that money can make anyone happy. My opinion is that it’s not true. Money cannot buy happiness and other emotions, of course people would be happy if they buy a nice house, expensive clothes and everything else that they want but this happiness will not exist forever if they do not have a family and friends. Money will makes you only happy when you have family or friends to spend it and to be happy because money will exist forever but your family, your memories with them no, they will die with you but inside your heart you will know that you are truly happy. Thanks for your writing. I look forward to seeing what you write next, because you have a strong pen and within this post you did not expressed only your American Dream, but everyone’s else American Dream. I would like to hear again your thoughts because everything that you wrote was really true. Thanks for your writing. I look forward to seeing what you write next, because you have a strong pen and within this post you did not expressed only your American Dream, but everyone's else American Dream. I would like to hear again your thoughts because everything that you wrote was really true. I am puzzled at the way you talked about the American Dream but also i completely agree with your points of views you have made throughout your article.This shows me a difference and makes me believe if americans come together and work together as one , we can be a whole. And anyone who is not from from america is also welcome because everyone knows people travel to america for a purpose and we are known for accepting immigrants. America is full of people all around the world. Even though the American dream today is based upon money, which can buy you things you want which makes people happy and satisfied.Thanks for writing, i understood you fully . I am intrigued with your post, “What Does It Mean To Be American” because of your beliefs of what The American Dream is to everybody and the principal part of The American Dream. One sentence you wrote that stands out for me is “Older generations and some millennials believe homeownership is the most important element to The American Dream.” I think this is inaccurate because as a millennial myself, I believe money and wealth is the most important factor of The American Dream simply for the fact that money can bring happiness and that is in most cases what every person wants. Another sentence that caught my eye was: “Money is a big part of the American Dream to most people” This stood out for me because it is in fact true. Money is the root of everything in America, clearly. I do strongly agree with you that Money is a part of the American Dream. One reason I say this is because even though most people believe living in a house and having a healthy family is The American Dream, where does this house come from? Money. The American Dream today is based merely on money and happiness. For example, the reason people go through years of schooling is to become successful, in return for being successful you make money, and because of money you can get and do the things you want, which in return makes you happy. Thanks for your writing. I look forward to seeing what you write next because in this post you expressed yourself substantially and I would love to hear your thoughts regarding others/my replies to this post. I feel indecisive about your blog post “What does it mean to be American “ because I agreed with the fact that many Americans believe that the American dream is to own a big home but I disagree with that fact that many think that the American dream is to just have an loving big family. In my opinion the American dream is to own a massive amount of money and travel the world while wearing designer clothes. One sentence you wrote that stands out for me is “The generation of the baby boomers have had more time to build wealth, invest in their home, and develop a family. This stood out for me because this made me think about how we all as people has the same amount of time as everyone else but it’s all about what you do with it. Another sentence that I agreed with was: “ Many millennials are still struggling to get up on their feet without help, even then they can not figure things out.” I think this is absolutely true because you are right many generations continue to struggle to make a fortune without help and continue to depend on the government for WIC & Food Stamp or even health insurance. But i also do not agree with this because at the same time not everyone has the same resources or ability that would allow them to make a fortune such as an good education. Thanks for your writing. I look forward to seeing what you write next, because you provided statements that made you look at an issue from two point of views instead of being one sided. I am lighthearted by the letter that you wrote named “What it means to be American” because I felt that you hit every point on what it meant to be American. Your letter told me that you understand the importance of being an American and that everybody has different ideas for their point of views. In addition, he knows that everyone came to America for a purpose and that America is a country for of immigrants so it is weird when someone says we don’t want immigrants. One sentence that you wrote that stands out to me is when you said “America is full of different races, ethnicities, and religions. Everyone came here for a purpose to have a fresh start. Our country has never been united even though we are the United States of America. We are fighting each other inside our country”. I think this taught me that you knew what it meant to be a minority and that you know that pain that we experience. Another sentence that I knew stood out for me was when he said “Everyone came here for a purpose to have a fresh start”. This stood out to me because I feel like America is a land of ethnicity and that you don’t have to be someone your not to feel like you belong. I agree with everything you had to say about the American Dream for the reason that I feel like you know what we minorities go through. Another reason I agree with you is because I feel like I am happy that someone can connect with me. Thank you for your writing, and I look forward to seeing you in your next essay because your opinion is similar to mine. In addition, I feel like you should write your next essay as an addition to this essay. I completely agree with most of your statements and points. I felt some type of hope when I was reading your short post because it shows that there people out there that want to find everyone’s American dream. This gives me hope because that means America as a whole can help each other and grow whole. Through such things as helping immigrants with jobs and asking what they want because at one point time most people think this. A sentence from your post that stands out is “ America is no one’s country.” This stands out to me because it is very true but not recognized. America was once a play where no human lived for the first american they came here as a way for a better life just like any other immigrant. Another quote I find interesting is “he people who claim they are Americans need to respect that not everyone was born in a “free” country and encourage them to do their best instead of telling them to leave”, This line is interesting because it is very true but not even thought or talked about. I agree with you that people shouldn’t be so ignorant about the fact that people come to America to succeed their “American Dream” because it’s harder than what it seems like when you start off with nothing in this day and age. Thanks for your writing. I look forward to looking at your other post because they are very relatable as well I agree on a lot of your points that you convey. I am surprised at the way you described the “American Dream”. I don’t know anyone who ever thought that having a dream house is a part of the “American dream”, a lot of people think that money is apart of it, and a large family, but not house. Also, you kept saying the same thing over and over, the exact same way. If you´re going to say the same things over and over, then a least switch up a few words so it’s not so repetitive. I like how you added that some thoughts of teens and how they said America isn’t what it used to be, and I agree. Thank you for writing, I hope you don’t take offense to what I have said, but use this in other articles.